That sounds a little like Heaven on Earth, but recent research and studies (by mediative.com, Google and others) tell us that purchase behavior is becoming more and more something we certainly can influence — in a big way. As a part of your RV digital marketing strategy, you’re already involved in online display advertising … or at least giving it some serious consideration. Display ads are nothing more than ads on other websites. 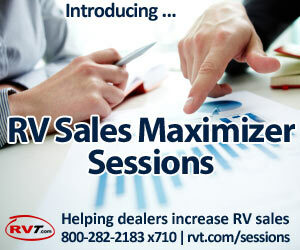 This article explores ways many dealers are using display ads to persuade RV purchase decisions and stimulate RV buying behaviors. Clicks Are No Longer King! CAUTION: Just because the “once-mighty click” is no longer your most important metric, doesn’t mean display ads are any less effective at influencing buyers on their purchase journeys. FACT: Buyers are JUST AS LIKELY to search for you (or your product) online as a result of seeing your display ad as they are to click your ad. Through the Use of Display Ads. 1. Use Different Ad Creatives with Different Messaging. 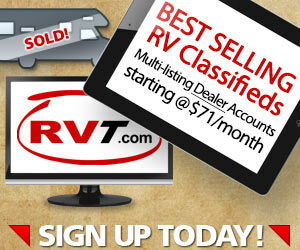 Consumers buy RVs for many different reasons. And, often different buyers are influenced by different messages. Mixing and varying your messages within a display ad campaign can help you capture the interest of more buyers. Start using simple A / B Testing which alternates 2 versions of your ad to site visitors. A / B Testing is a great way to continuously improve your ads by helping you identify “winning” and “losing” ads. Showing the same ad multiple times increases clicks, views and actions taken as a result of seeing your display ads. To show ads multiple times, consider multiple placements on websites by using re-targeting to continue showing your ad(s) after a visitor has moved on to other websites. Display Ads are known to provide a significant branding effect. You’re branding to buyers who you know are in-market even if they do not click your display ad. Make ads clear, bold and noticeable. Use your branding elements (eg. logo, slogan, colors etc.) – this builds trust. With each ad impression, they’re getting to know you. And, buyers are more likely to engage with brands they know. 5. “Relevance” — Use It! When using display ads to guide and direct an RV shopper to purchase, one of your “deadliest weapons” will be … relevance. You need to build your creative so it is as relevant as possible to a buyer who is in the act of shopping for an RV. Key Point: Some of the most relevant ads to an RV shopper are ads that specifically contain images of the exact same RVs (or at bare minimum, the same RV type) which each individual buyer has been looking at online. Dynamic Re-Marketing ads appear wherever the buyer goes online – but the ads are built “dynamically” using photos and info about the exact RVs the shopper has been looking at. 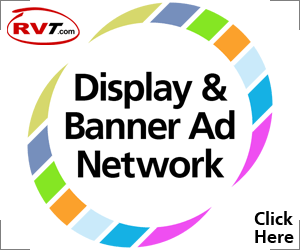 Advanced dealers are setting up Dynamic ReMarketing on their own websites but, they’re also hitting the RVT shopper with these smart new ads. It’s tough to think of anything that could be more relevant to a family who is currently shopping for an RV than to see one of the RVs they have shown interest in pop up in an ad a couple of days later. Advertising industry researchers and experts are touting dynamic re-marketing because of the strong engagement these ads create due to their being completely relevant to buyers. Our own internal tracking on multiple Dynamic ReMarketing campaigns shows these ads get between 5X and 10X more clicks than average Internet display ads.